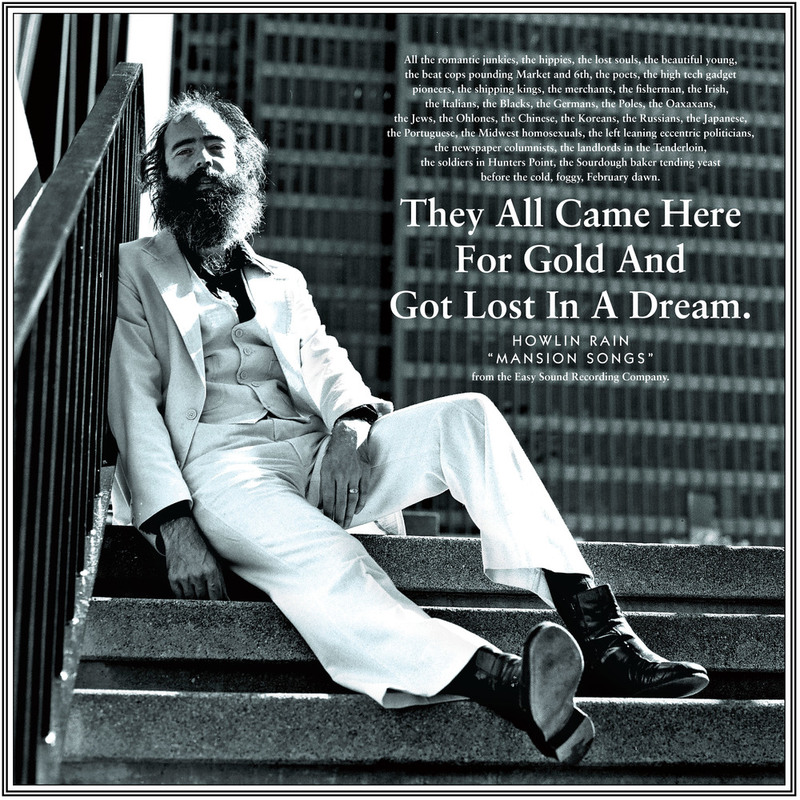 Current Promotions — Easy Sound Recording Co.
Easy Sound is delighted to have a number of catalog items on sale at Amazon Digital currently! 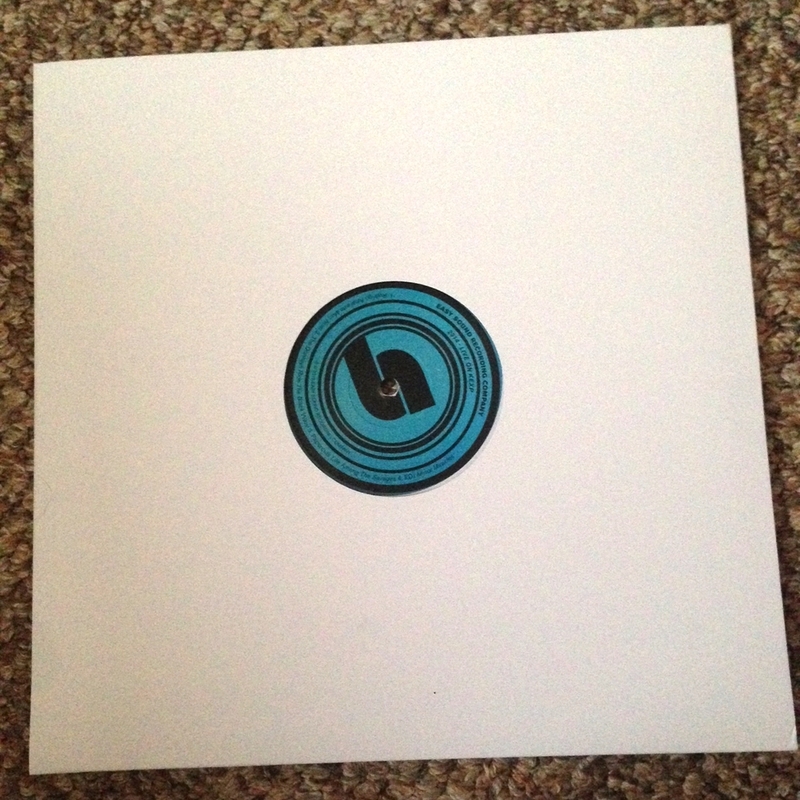 Our Easy Sound vinyl sampler promo is now open to the entire Easy Sound Catalog! 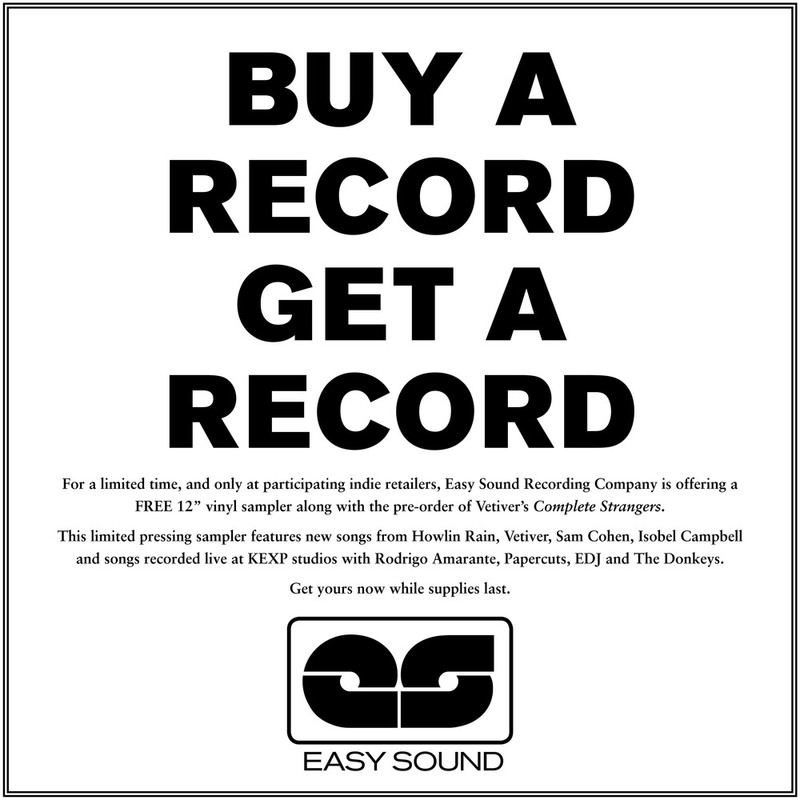 As an exclusive to brick & mortar indie retailers, Easy Sound is offering a promotion for a FREE 12" vinyl Easy Sound Recording Co. sampler that will come with LP purchase of any Easy Sound release. 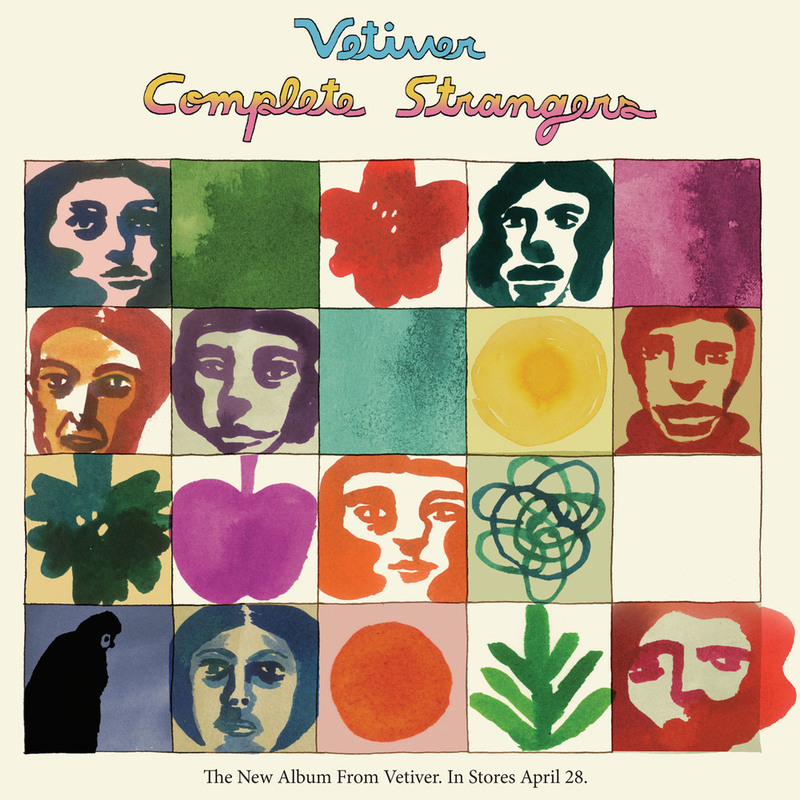 This no-frills, limited pressing sampler features (on side A) new songs from Howlin Rain, Vetiver, Sam Cohen, Isobel Campbell, and (on side B) songs recorded live at the KEXP studios with Rodrigo Amarante, Papercuts, EDJ, and The Donkeys. Program starts 6/1 and will run until the 12" vinyl samplers are out of stock. With the vinyl date for Give My Love To London having been pushed into December… your friends here at Easy Sound have decided to create a solution to help fill this temporary void. That’s right, here’s your one and only shot at some good old fashioned instant gratifaction. For all pre-order purchases through independent record shops (list of participating stores is below), each will come with a - free - limited 7” ‘flexi’ post card, featuring the album cut ‘True Lies’. These are going to be scarce, and have been pressed just for this special occasion. Limited to only 1000 in existence so make sure to pre-order early! 1. Starting November 11, find a participating record store near you (list is below). 2. Pre-order your copy of ‘Give My Love To London’ on vinyl - make sure to hold on to your receipt as proof of purchase. 3. Take home your 7″ collectible flexi post card - for play AND display. 4. When the vinyl is available later in December, bring your receipt back to the store where you pre-ordered and claim your gorgeous Gatefold 180g black vinyl copy of Marianne Faithfull’s amazing 20th album, Give My Love To London.